The Flexographic Technical Association (FTA) recently recognized Tension Corporation for its expertise and print quality in flexographic printing. Tension took home five FTA 2015 Excellence in Flexography Awards, including two of only six gold awards given in the envelope category. As in years past, competition was intense. 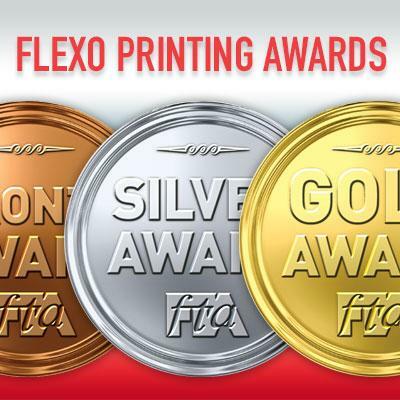 FLEXO magazine stated “only a small percent of those who entered take home gold, silver or bronze awards. And medal winners in this year’s Excellence in Flexography Awards—all 104 of them—created some of the best work judges have ever seen.” More than 450 total entries were judged on degree of difficulty and level of execution, with a number of criteria under review, including consistency, ink coverage and image sharpness. "The entries from Tension Envelope reflect the quality values at our company,” said Lonnie Robinson, Director of Engineering for Tension Corporation. “Regardless of whether the image is complex or simple, it should be handled with the same commitment to quality. A simple job, when executed perfectly, can be an award winner." Winners in the “Line, Uncoated Paper” category demonstrated excellence in the quality of coverage for solid colors and cleanliness of type. The winning entry for Target Card Services showcases the impressive job Tension Associates performed in laying down solid color, especially a color as vibrant as Target’s signature red, while keeping the reverse type crisp and clean. Likewise, in the “Screen” categories, Tension’s winning envelopes showed exceptional print quality and cleanliness of the screens. Tension’s winning entries in the “Process” category contained a high degree of difficulty with multiple images and colors. Both entries showcased the consistency Tension achieves on these types of jobs. A long-time leader in print quality, Tension has consistently received FTA awards for its innovative designs.